If you are looking for a charming waterfront home in The Sanctuary, this home is not to be missed! Located in the Steele Creek neighborhood, the lot alone, with such gorgeous water views, is worth more than the asking price. You have the flexibility to live on the property as is or to build your dream home. 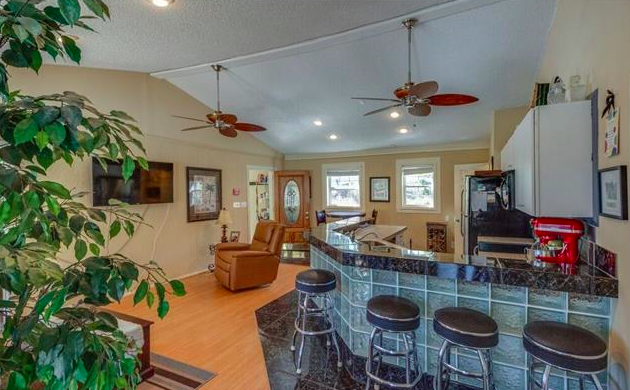 This 1,000 square foot home with two bedrooms and one and a half baths offers tons of storage plus a detached three car garage, which could be converted to a studio apartment for guests. 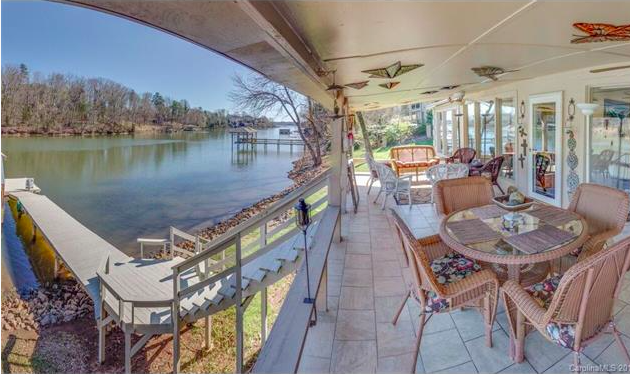 Situated on 170 feet of waterfront on Lake Wylie, the home includes a dock, boat lift and generously-sized covered porch. You can launch your boat from your own back yard! 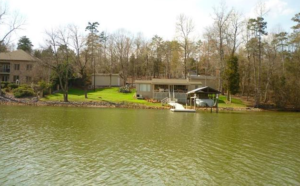 In addition to being a waterfront property, the home is situated on over an acre of land. The kitchen offers a breakfast nook in addition to fantastic bar seating and opens up to the family room, making it a very functional living space. The Sanctuary, a lakeside community on Lake Wylie in Charlotte, is conveniently located to everything you need while offering an idyllic setting. Within five miles of the community, you will find the popular RiverGate shopping center, which offers groceries, big box stores such as SuperTarget and Best Buy, and plenty of eateries and more. Plus, the conveniences and diversity of all the Charlotte neighborhoods are close by. Don’t miss this opportunity to get into The Sanctuary at a steal. There are no HOA dues in the community and you will not want to miss these views! For more information on this property and others like it, call 803-831-8588.